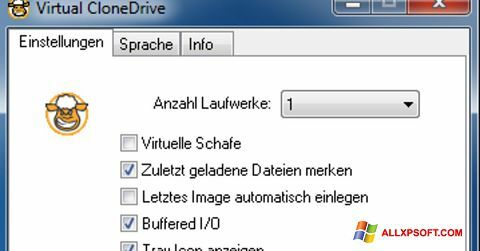 Virtual CloneDrive for Windows XP creates a virtual disk using images taken by the corresponding software. When the installation is complete, you will need to restart the device. It will add a virtual drive that uses images. Available directly from the hard disk. The application provides installation, dismantling using the context menu. The OS perceives such a drive as a physical one. The utility does not need to be customized, it is available for use by beginners. Up to eight discs can be used simultaneously. You can free download Virtual CloneDrive official latest version for Windows XP in English. Publisher Software: Elaborate Bytes AG, Switzerland.